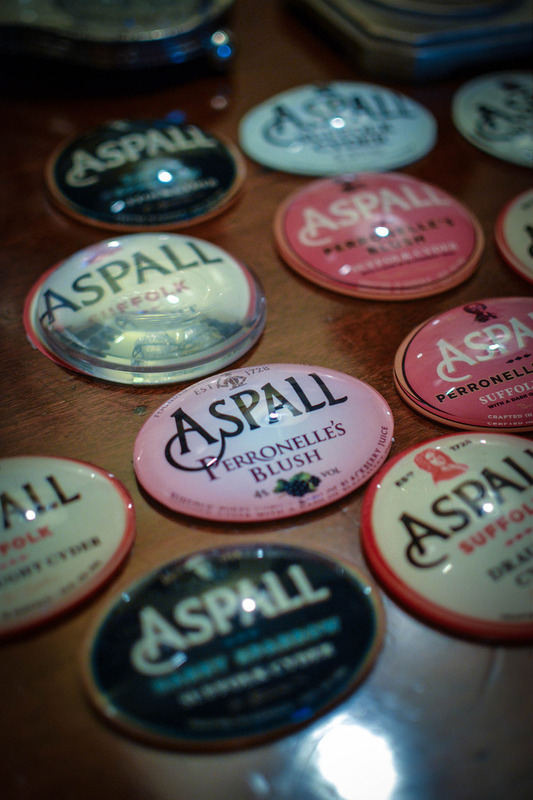 Aspall is one of those brands that you see everywhere and think they must be a huge corporation. The branding is just so slick. They’re at a lot of festivals, they’re in ‘those’ trendy pubs, do cool stuff on social media etc etc. They must have a lot of people behind them making all that happen right? Wrong. Aspall is a family owned and run business that started in 1728 and is now led by 8th generation family members Henry and Barry Chevallier Guild. Let’s start with Henry. Super smart, very well spoken and a cyder manufacturing geek. This became clear as he took us around the Aspall site which sits across the way from the family’s home, Aspall Hall. It’s discreet, quiet and understated but kitted out with the latest technology as well as inherited machinery bought by his father that processes 20 tonnes of apples a day into cyder and cyder vinegar. The process is much like wine. 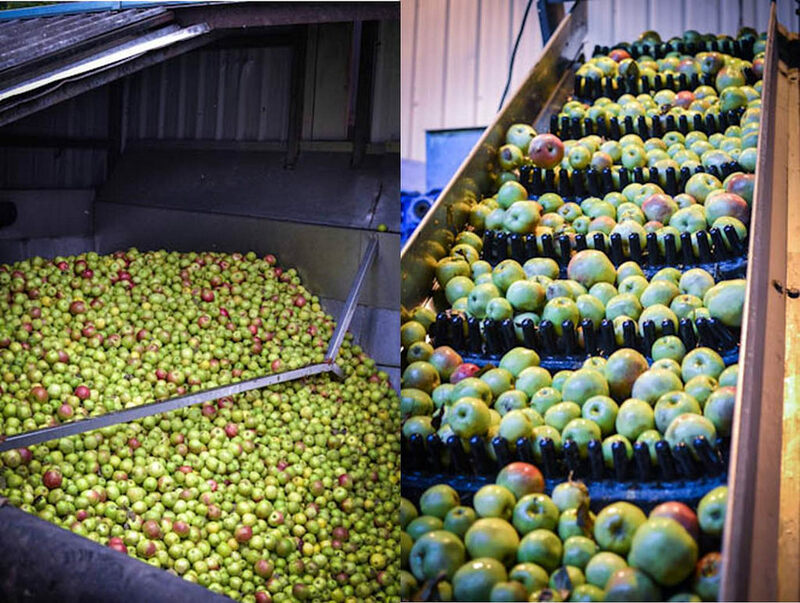 Local Bramleys and Coxes are sourced from the 80 acres of organic orchards owned by the family and neighbouring farms. These are then pressed and left to ferment. Champagne yeast is added nowadays before fermentation starts in huge barrels all named after a member of the Chevallier family. Every batch has a different flavour profile so the juices are blended for the right product but all consistent with the 85% minimum fruit content. Barry Chevallier is equally smart. He joined the company in 1993 after working for BMW. 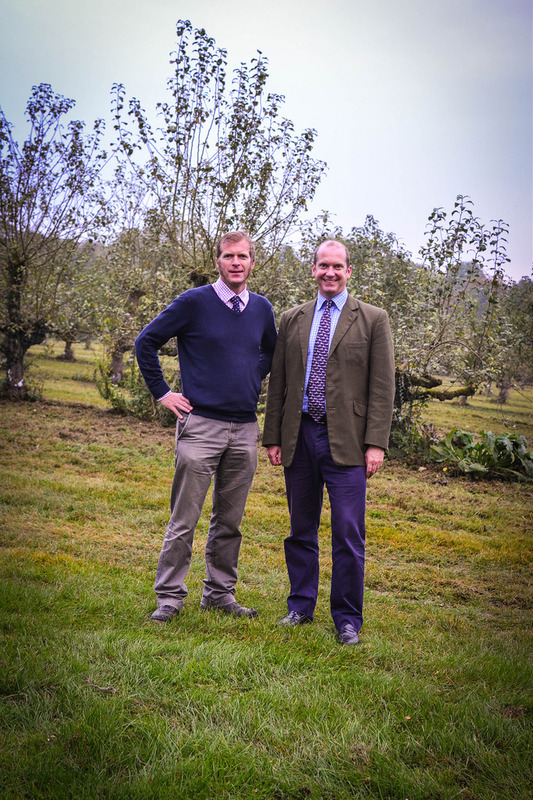 His focus is on the commercials, the sales and overseeing the estate and ancient woodlands of the orchards. He also led the company’s recent brand redevelopment. Subtle changes were made to the logo used today but all leverage the insight of his work archiving and cataloguing the family’s records including the first set of accounts filed in 1728. He has traced signatures of family members and these are now an integral part of the labels. I tasted most of the cyders on my visit. My favourite was ‘Peronnelle’s Blush‘ named after Peronnelle Chevallier who was Henry and Barry’s grandmother. I would have loved to have met this determined lady who was one of the first women to study at Reading University. 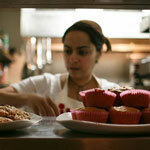 She studied agriculture and took over running the business from her father in 1940. She was also a founding member of The Soil Association which is why Aspall’s membership certification of the same is ‘Number 6’. The cyder has a rosy tint to it which is to remember her rosy cheeks. Both Henry and Barry exuded family pride as they talked us through their company and future aspirations. They have a sense of the past that drives their future and it’s really this that sets them apart from many manufacturers I’ve met. This and their passion for bloody good cyder! 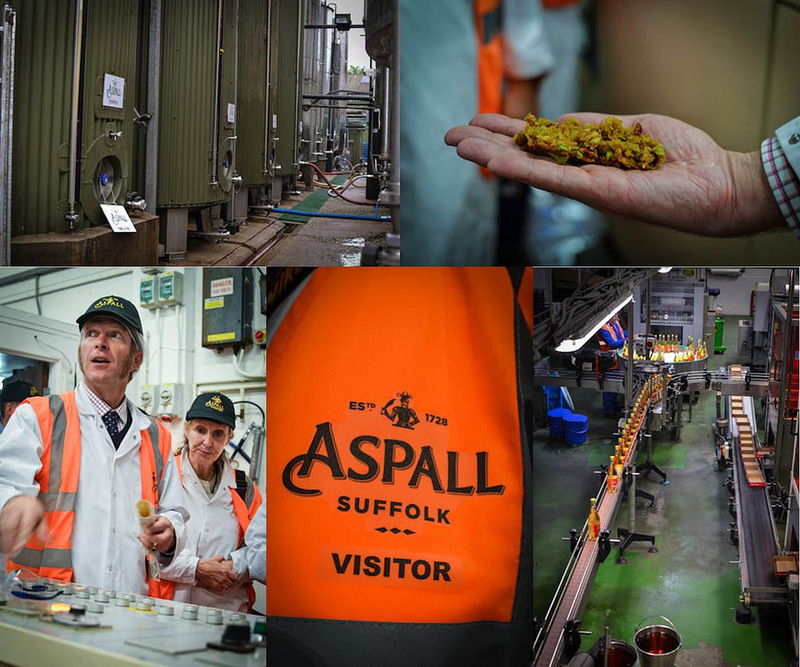 Thanks to Henry and Barry and the team at Aspall for taking the time to show me how their cyder is made. I love cider! Really interesting to hear some more about the process. I love that the barrels are named after the family! 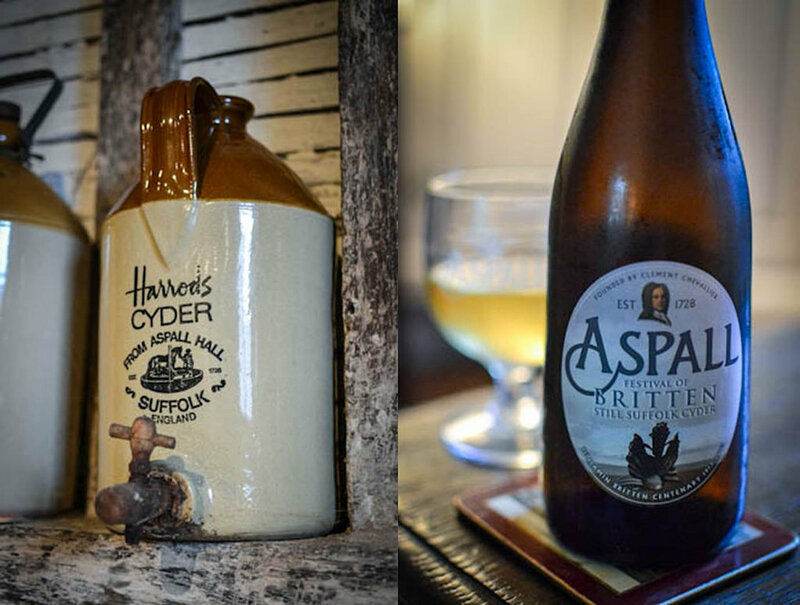 I have to admit that I haven’t heard of Aspall but cider really isn’t my drink at all, how lovely to find out that it’s such a small team behind it though! As most big brand cider is made of concentrated apple juice that arrives in tankers and is often less than 40 % apples this is good news indeed.